Alright, so I keep seeing thread's through Toronto Integras asking questions regarding suspension work, set-ups and comparisons of brands and so on. So I thought it would be somewhat cool if there was a thread dedicated to Suspension set ups and their Pro's and Con's. I think it would be nice for each person here to post their suspension set up info, as well as PROS and CONS or their set up. as well as Pics to show the drop and so on. I'm hoping that with this we can help people looking to buy their first suspension set up and also ask some questions about each others. Please post aftermarket suspension set ups rather than just the simple upgrade to a Type R suspension. So here is what I want to see here. 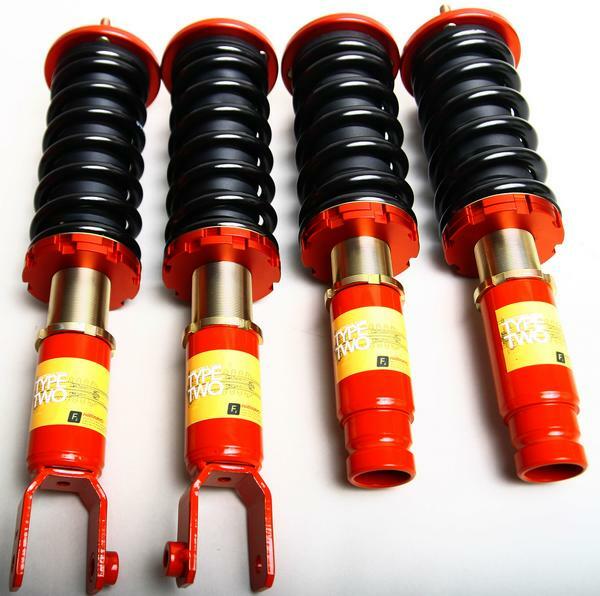 Post here what parts you have in regards to your suspension including things like ; coilover brand/strut brand/spring brand/etc, strut bars, Tie bars, Sway bar upgrades, camber kits, bushing upgrades, pillar bars, LCA's , subframe re-enforcements, etc. Yes this affects how your car will sit also, just post the tire size. If you'd like, a rough price for your parts and WHICH STORE it was purchased from. If it was used and you bought it from someone its alright you can keep that to yourself, I think I rather keep store locations on here better. What you like about your set up. Include here, what the greatest thing of it is, what you think it improved the most as well as how comfortable is the ride. What you dont like about your set up, or what could improve. Also include here if the ride is uncomfortable and how you hope to solve that issue. Just state here what else you are considering to add to your set up in the future and what you hope it will improve/achieve. 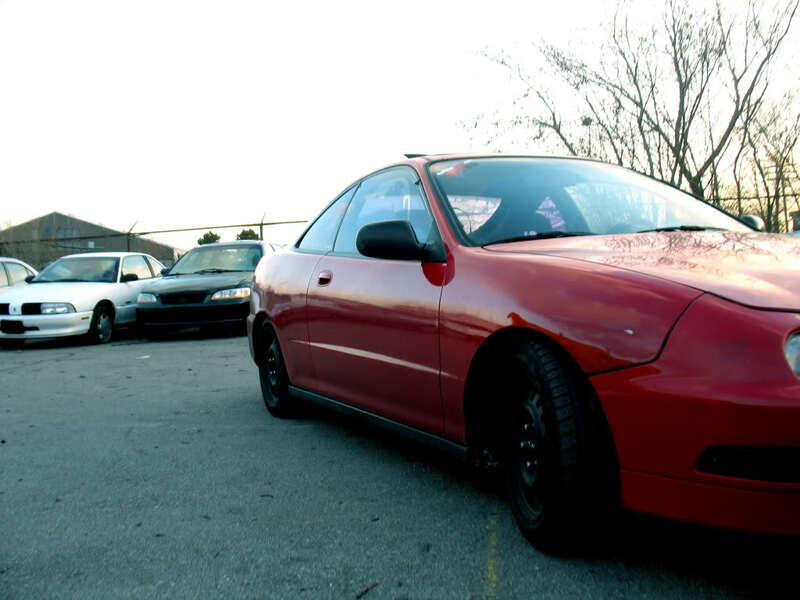 I haven't got too much done on the set up yet as money was an issue after some things happened, but my overall goal is to get a really fun car to drive on the street while maintaining a nice stance without ruining function. I'm hoping to get a few more things before the car will see track time, but I want to test it on the track at least once before I make my next move. Front: 195-50-15 Rear: 205-50-15...reason for 2 different tire sizes, It came with the Blades, lool, no other reason. F2's bought used but originally purchased from OPTION JDM. ITR strut bar bought used....its FS btw if anyone wants. Adjustablity!! anything I want , the coilovers can do. And with 32 levels of adjustability I can be really picky on how I want it to the T!. LCA's also have holes to adjust the sway bar which is a plus. I like the ride, i have it stiff most of the time simply to enjoy the turns, and ride comfort is good for me as I enjoy a stiffer set up. From being low i've seemed to go through 2 driverside balljoints within a year. Alignment issue? I would upgrade to Skunk 2 upper control arms and see if those are more durable than the OEM ball joints. 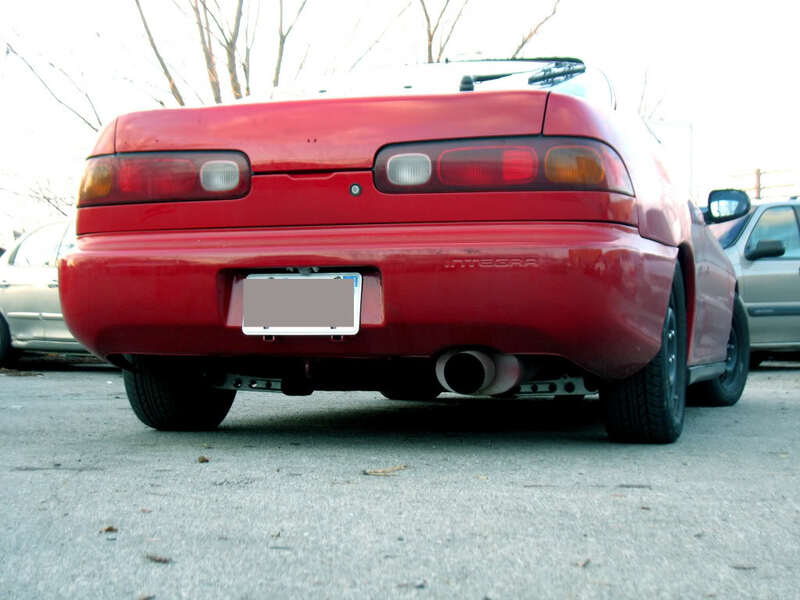 Also another issue is running on too stiff, it seems that from running that stiff it has fucked up most of my bushings,...hence the reason why the car is kinda off the road, my next upgrade on the new teg would be to do all the bushings so it can stand a bit more beat downs. 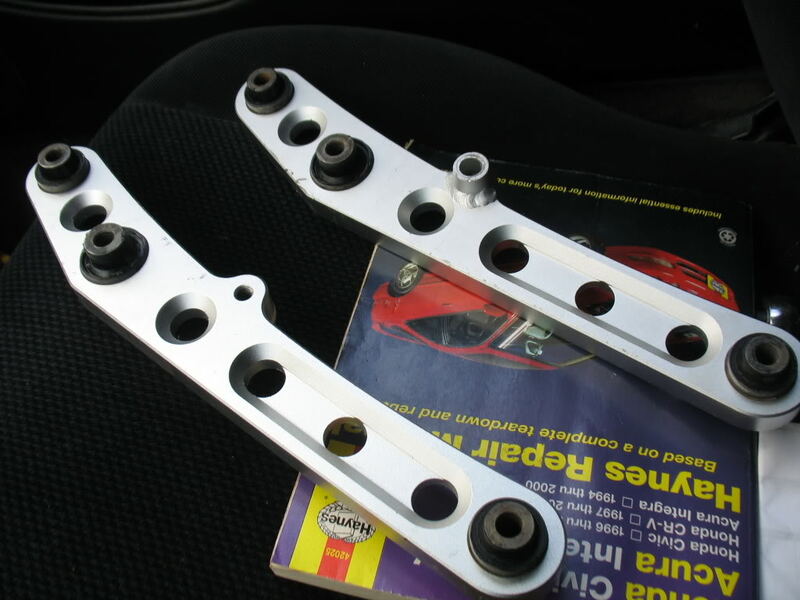 ASR Subframe with Type R sway bar or ASR sway bar if I find it for a decent price. Beaks tie bar for the bling on top of that,,Password JDM 3 point front upper strut bar, also to go a bit lower and just start to tuck the tire. I give my set up a 7/10 as its not complete yet, and I need to fix the issues retaining to bushings and balljoints. Last edited by Vida; 05-13-2010 at 10:54 PM. Very nice I like this a lot. Although I'm looking to get my suspension done but will be moving out very soon so money will be really tight soon so. I won't be adding to this too soon but will get ideas. 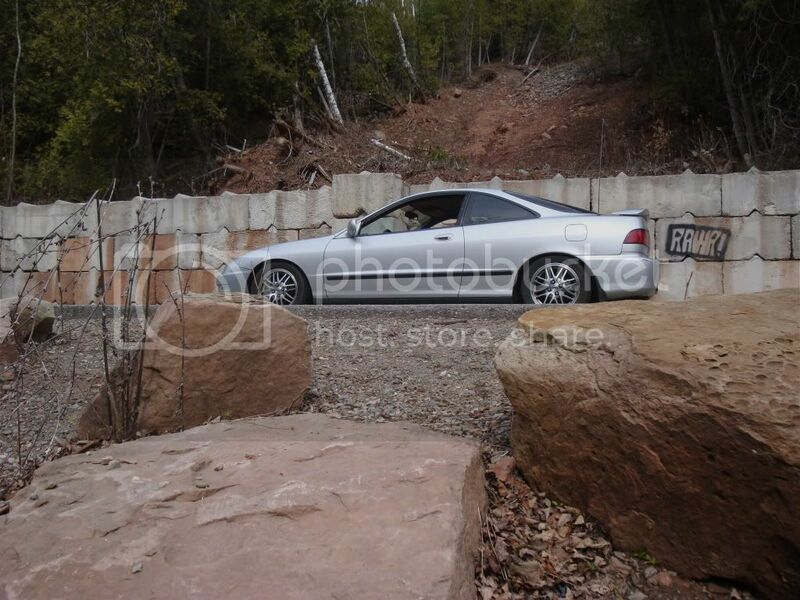 My suspension is Stock GSR shocks and struts with skinny sway bar I don't remember what size stock was. 205/45/16 came with the car. May keep may change still deciding. Final goal Same full coil overs as Vida with 23mm JDM ITR swaybar. ASR brace maybe beaks as well if it provides extra performance if not I wont get it. Drop just to get rid of the wheel gap. Function and form LCA. Rear strut bar password JDM 3 piece front strut bar. Trunk bar. Tires will probably be falken 515's I think I can't remember the exact number. My choice is from numerous research on suspension. AHH, I forgot about the 3point PSWDJDM front upper strut bar. Yea thats one of my to buy list. 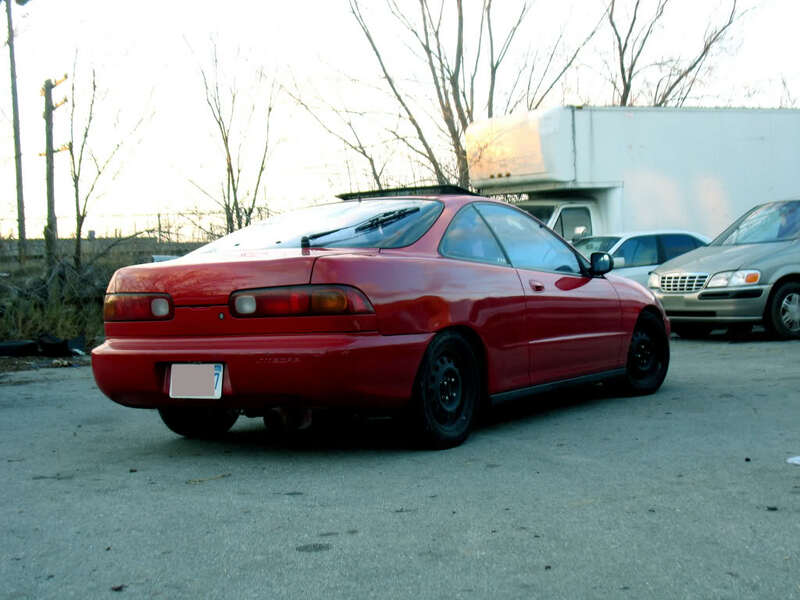 I contemplated Miracle X bars in the past, but from reading it doesnt work too good with full coilovers, let alone ones with that much adjustablity. Im currently running a PIC's Selects which are 10Kf front and 12Kf rear. These are the fully custom set-up which includes the dampening adjustment. Also, I have Megan Racing LCA's, Type-R strut bar and stock sway bar/bushings. -Dampers have undergone numerous shock dyno tests to determine ideal valving for each application, delivering superb damping characteristics. -8 levels of rebound adjustable damping to suit a variety of road and track conditions. 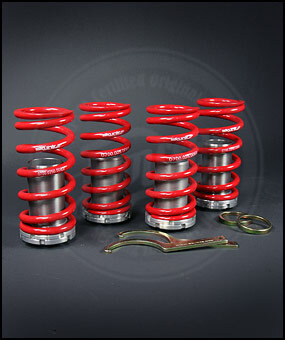 -3 stage anodized coating on shock body provides extra weatherproofing and protection against oxidation. The suspension was purchased at "TEK-NOTIK" in Scarbrough for just under $1400, TAXES IN! LOVE this set-up, it is the best suspension that I have owned in all of my 13 cars I've owned. Ive tried different coil-over's and spring and strut combo's before, nothing comes close to this. Tighten it up when you track it and soften it down to cruise. Probably the price, it is quite expensive...but you know what they say "you get what you pay for"
Thinking about bigger sway bar up front and a rear strut tower bar in the rear. Outta 10 I will give this set-up a 9. Everything you want, but if it was a little cheaper it would be a 10.
nizmo u have a good setup. a lot of people dont know pic very well. My DC had skunk2 full adjustable coilovers. sold them and then got cheap sleeves. Skunk2 is a little stiff, but i love the way it handles. F&F is also a gradeA setup for coil's. Just the sleeves themselves, 8/10.